Above the Barre Dance Academy is PROUD to HOST Access Dance in our studio. 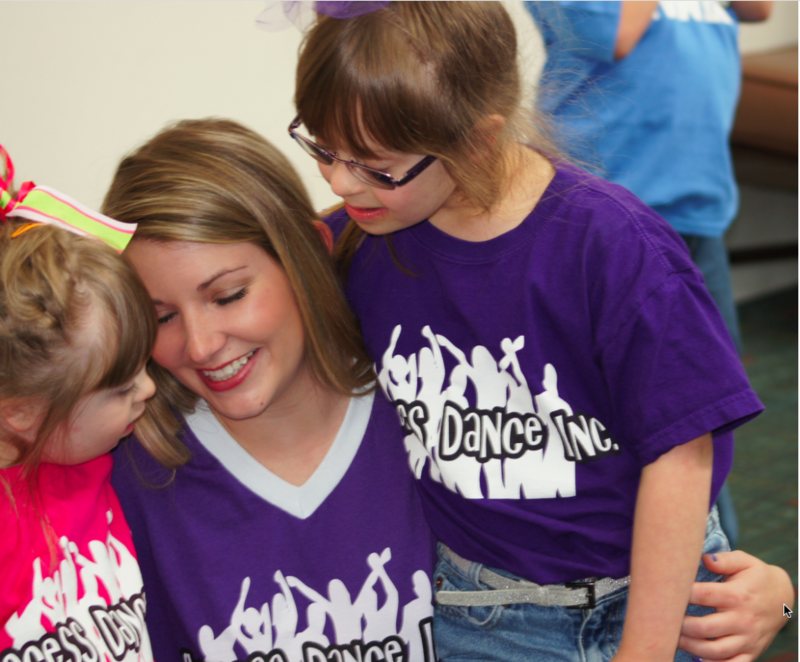 ADI was established to give children with special needs the same opportunity for dance and socialization that other children receive. The joys of acceptance, friendships and pride the children develop as they reach new levels of achievement are remarkable! The children learn dance skills and are taught a dance that they later perform at several events throughout the year in the Kansas City area. Our goal is to make sure the children are having fun while learning to express themselves through music and dance. We know each child will learn at their own pace and will express themselves in their own way.... Perfection is never expected, fun and laughter is our only requirement! I began dancing at the age of 3 in Shawnee, KS and started competing at the age of 9 with Starstruck PAC. I continued competing locally and nationally until I was 18 years old. After graduating from high school in 2007 I attended the University of Kansas where I was on a competitive cheerleading squad. I am a Certified Nurses Assistant. Since graduation form the University of Kansas with a bachelor’s degree in Psychology in 2012, I have been the lead instructor and served on the board of a non for profit organization that provides dance classes to children with special needs.